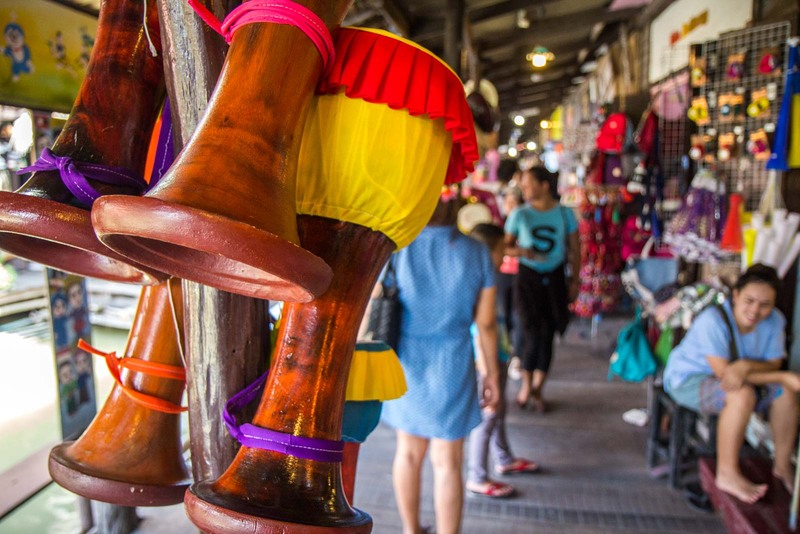 For much of the world, Thailand is seen as one of the best holiday destinations. You only have to visit places like Koh Samui, Phuket, Chiang Mai or Bangkok to see the waves of foreign tourists that wash up every day. Northern Europeans with their newly-pinked skin, Australians ordering their bottles of beer for breakfast, Chinese following a flag-waving guide in packs towards their hotel. But what about the Thai people themselves? Have you ever wondered if they go on holidays in their own country or where they would go for a daytrip? Not too far north of Bangkok, I found an answer to this question. The ancient city of Ayutthaya is a World Heritage Site, listed for the incredible collection of temples that still stand from when this was the largest city in the world. 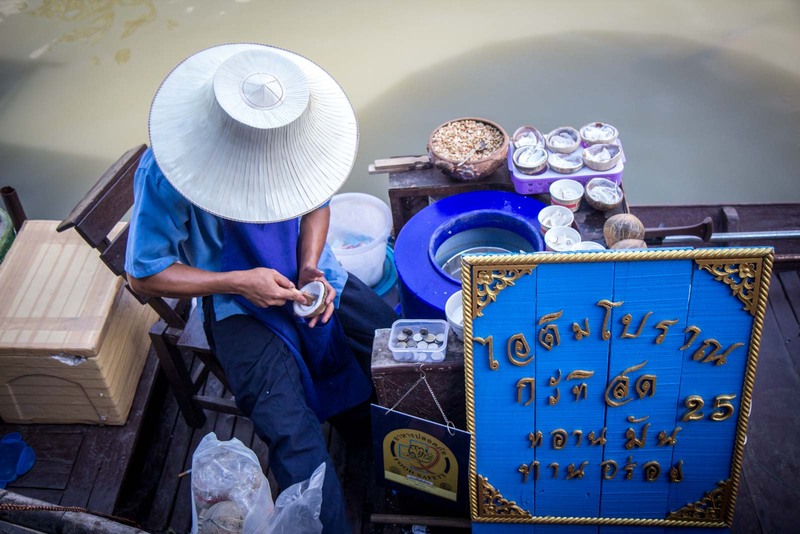 It is popular with foreign tourists who can easily spend a day or two exploring the different sites spread out through the urban area on either side of the river. This is not, however, where I found an answer. 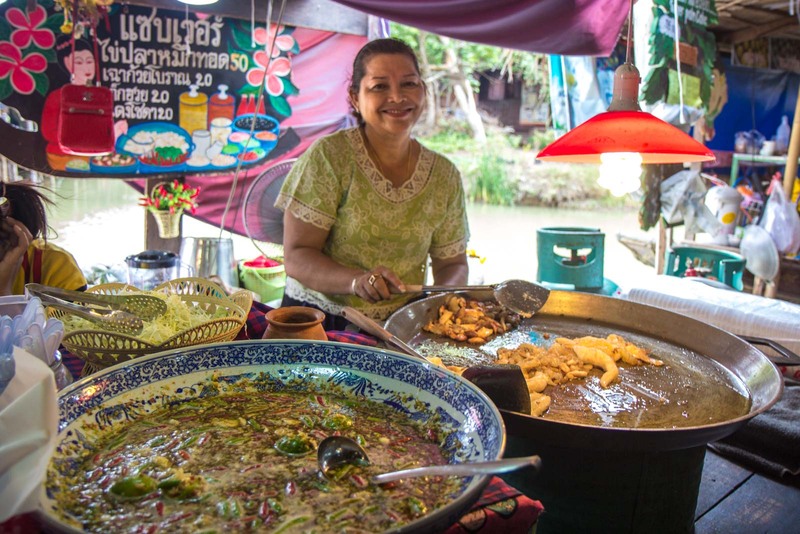 You need to go slightly out of the city to find the Thai tourists – to the Ayothaya Floating Market. Foreigners will come here – don’t let me fool you into thinking otherwise – but this is one tourist site that is designed for locals. It didn’t grow organically, it was built for pleasure. 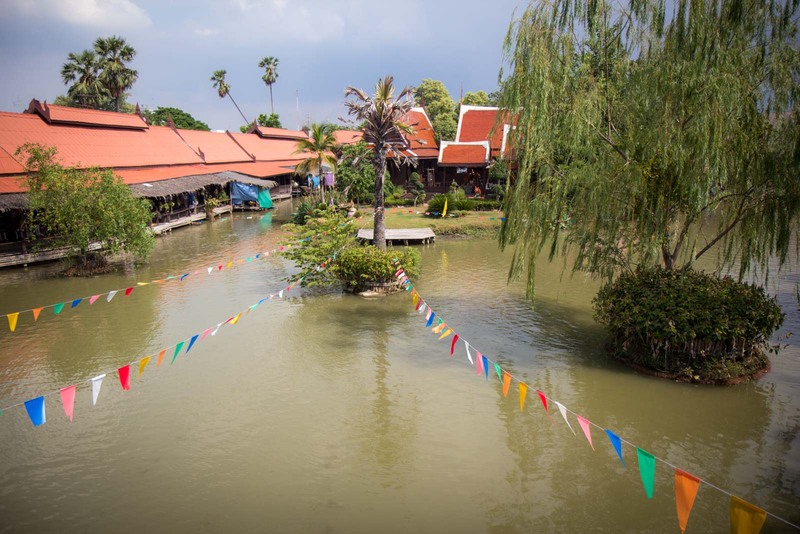 However, it has been constructed in the traditional style of a Thai floating market. Walkways lead around the water and some boats ply their trade straight from the deck. 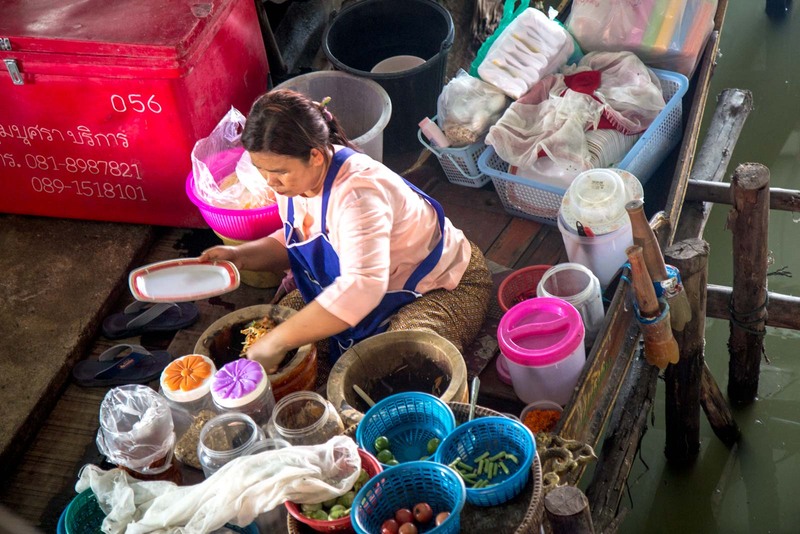 In the centre of the Ayothaya Floating Market is the most traditional section, where small meals are cooked on boats and served to customers sitting on decks next to them. 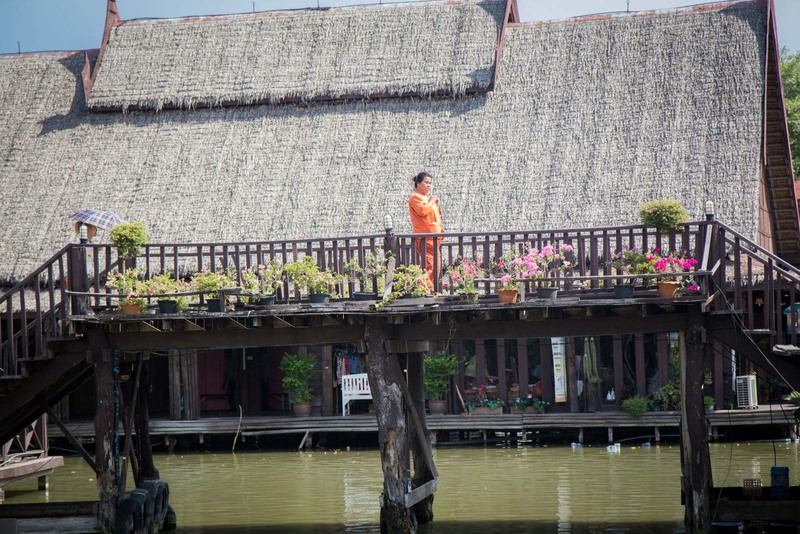 As you move outwards to other parts of the floating market, things become a bit more like a fair. And there’s a clown making balloon animals for the children. At one point, a mummers show passes through with adults and children, dressed up in garish costumes, throwing jokes and jests in Thai at all in their way. 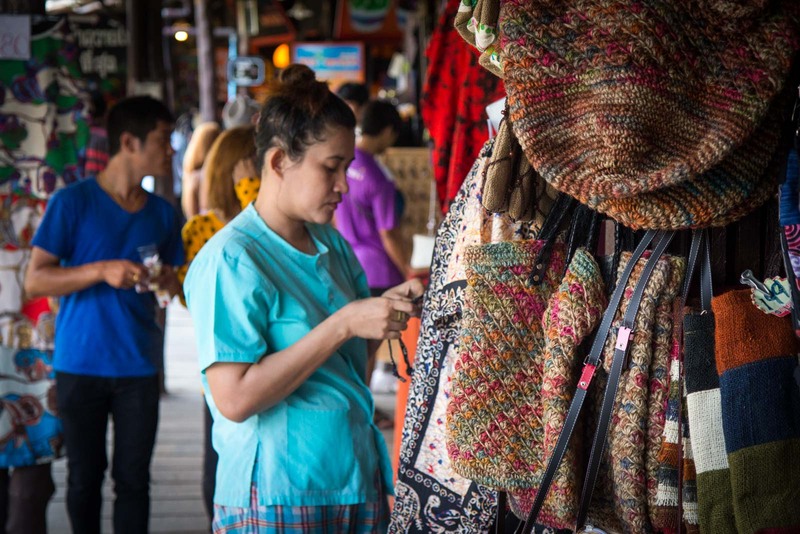 It’s a Sunday when I visit the Ayothaya Floating Market so it’s not surprising that it is full of locals, making a daytrip up from Bangkok or including it in part of a weekend holiday. There are families with children, grandparents, young lovers. For me, I get more pleasure out of seeing everyone enjoy the markets than from the site itself. Candy canes and face painting are not really my style. But, strangely, I feel less like a tourist here than in other parts of the country I’ve visited. I feel almost invisible, watching life go on around me. Let me share with you now some more photos of what I can see, so you’ll perhaps understand a bit more of what I mean. Ha ha! Somehow I think the locals will always outnumber foreigners here. It’s not the easiest place to get to and it really is targeted at Thais. 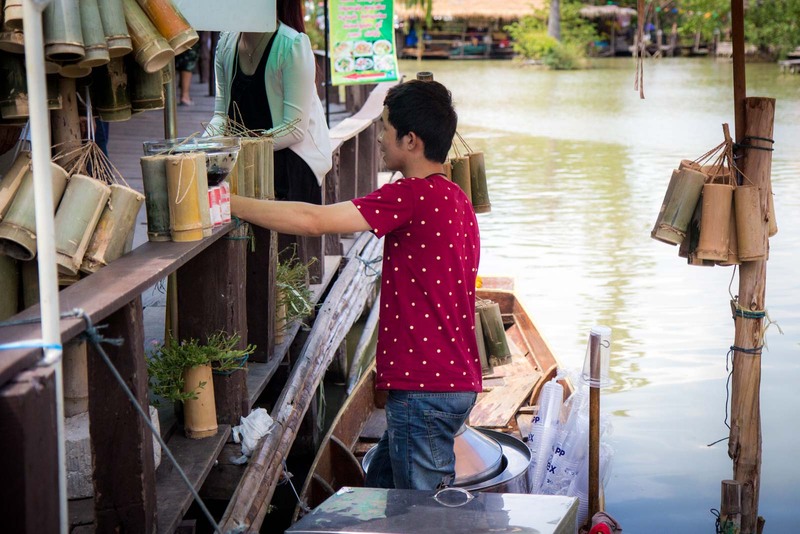 Seeing that Thai lady feed the fish with the bottle is a bit crazy. I love it. Ha ha – isn’t it strange!! I loved it too – cray cray! Thailand is a beautiful country. I just love the diversity and the culture. And did you know that Bangkok is the most visited city in the world? Which means that this city is worth traveling to. Great photos by the way! There is a lot of diversity in Thailand, that’s for sure. I think a lot of people just go for the beaches or the parties but it’s worth taking some time to discover a bit more. Your photos are fantastic. 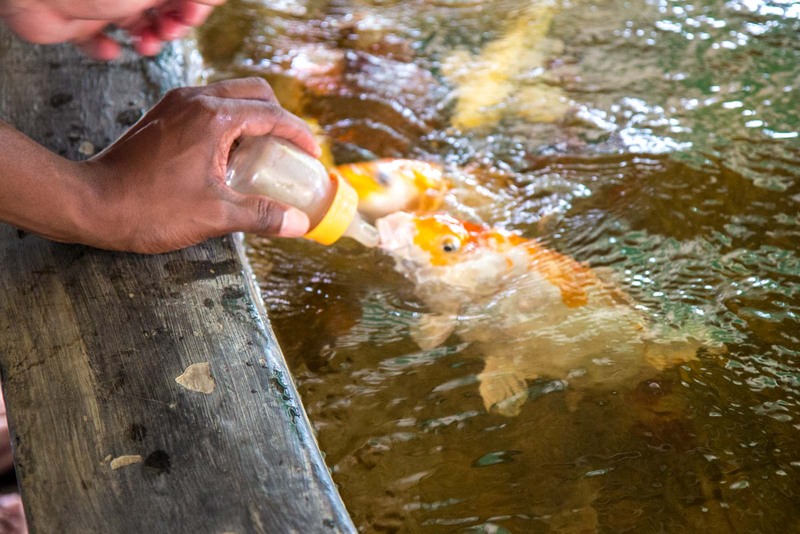 I’ve never seen anyone feed a fish from a bottle before! Your visit to any part of the world is incomplete if you have not witnessed the local way of living. When we travel so far away from our home the aim is to see different lifestyle that people have, their eating habits, the clothes they wear, everything that is unlike ours. That sense you had a very fulfilling Thailand trip. I agree completely! I love seeing local life. 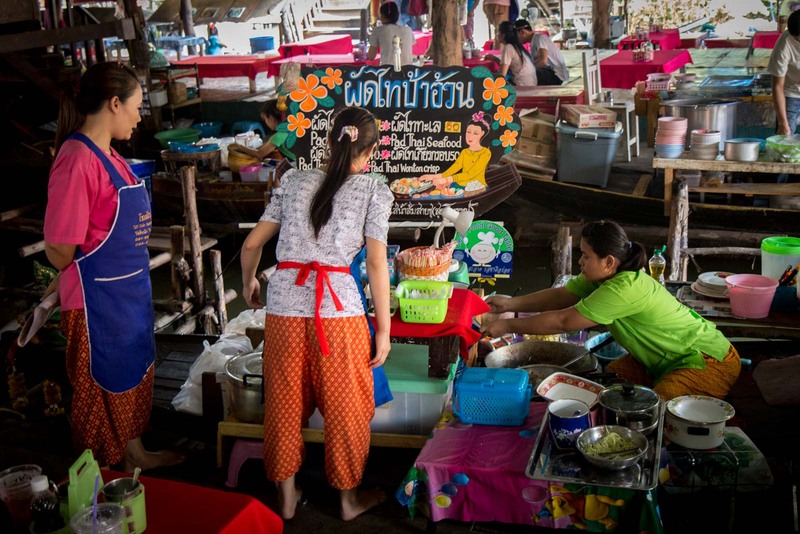 And it’s also so easy to forget that the local people in countries like Thailand go on holidays themselves, so it’s not just international tourists that you’ll bump into! 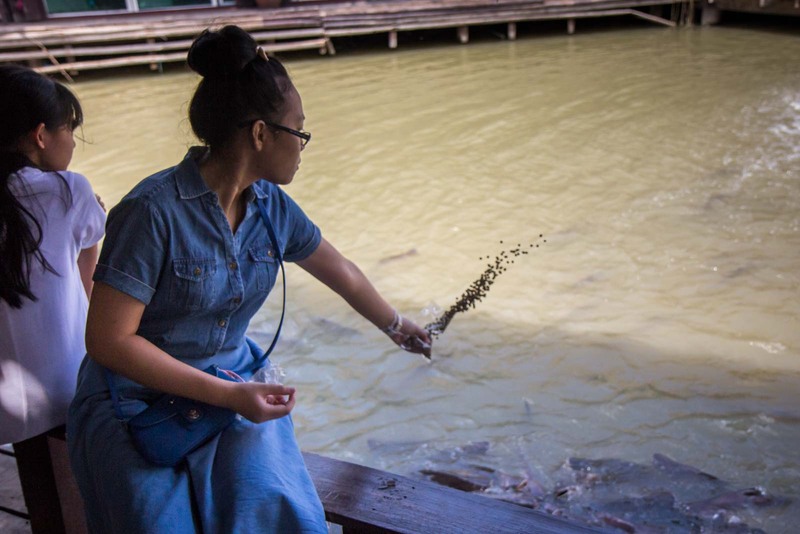 I think thai lady feeding a fish with bottle is one of the most vivid pics i have ever seen. In thailand fishes also need pacifier. Hello, my wife are healthy seniors globe trotting around the world. We are going to Taiwan, and then we are planning on going to Bankok and Phuket for 10 days each. Then on to Bali for another 10 days. In Early 2016.. We were relieved to read your aticle about Thailand, as anywhere in the world in many countries there is some sort of unrest. But realize there is some major concerns visiting Thailand. 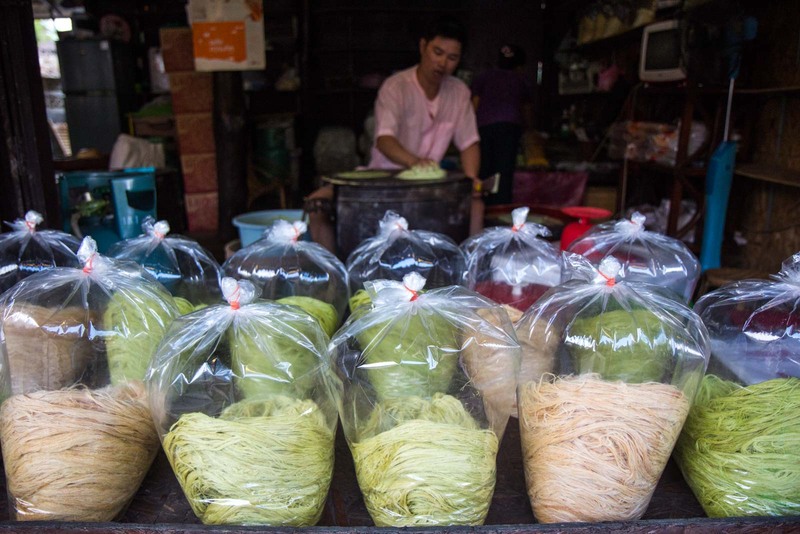 Canadian Government has just issued a travel advisory to Thailand. Saying use caution in Thailand. I wanted to explain my wife is Asian from Taiwan brought up in Canada and I am a (was blonde, now siver haired, lol) fairly tall Caucasian. I stick out like a sore thumb in most foreign countries. So obviously we look like senior foreigners/tourists. So we have some cocerns about Thailand. I wanted to ask is this a safe place for seniors? I am getting the feeling from your aticle it is. 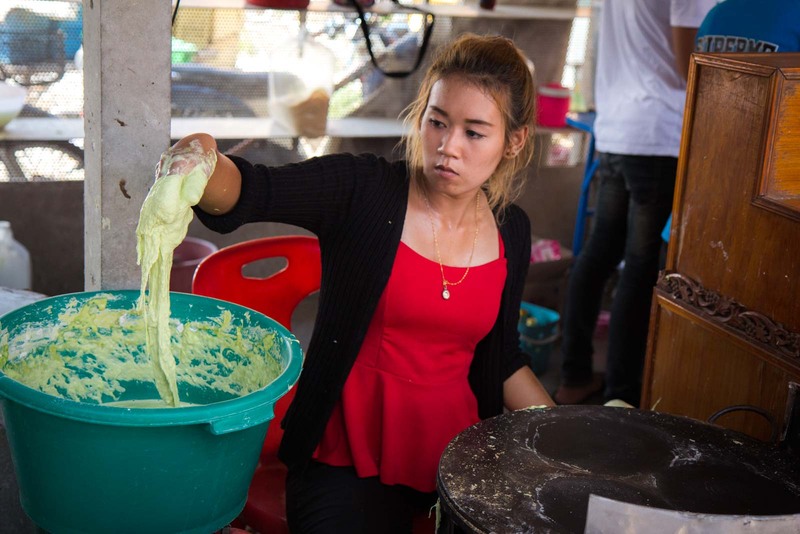 But wanted to see what you thought about seniors visiting Thailand. Seniors are easier targets. Also there is some issues regarding Thailand Airline safety is that a real issue of concern? We are flying on Thai Airways to Bali. Thank you for feed back. Thanks for the message and I would be very pleased to allay your concerns. Thailand is a really safe place and as soon as you arrive, I hope you’ll see that for yourself. There is nothing specific you should worry about – just the usual things about not flashing expensive possessions about or walking into areas at night that are empty. If there is any more political turmoil, it’s usually very isolated and away from tourist places. The biggest issue you’ll have as a senior is probably people trying to make a bit of extra money from you – so just be firm, agree all prices in advance, and don’t be afraid to walk away if you don’t like the deal. Thai Airways is a great airline – one of the best in Asia, so no problems there. Have a fantastic time – sounds like an awesome trip!! Sounds like a great place for a wander. We’re heading to Ayutthaya today so we’ll be sure to check it out. Thanks. Great! Let me know what you think of it. It’s certainly not somewhere you would consider as the destination, but it’s an interesting stop when you’re already going to the temples.